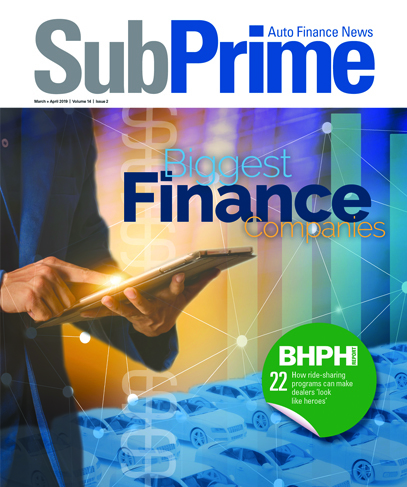 With fraud continuing to be a potential problem in auto financing, 700 Credit announced this week its suite of products, including credit reports, compliance solutions, prescreen and consumer pre-qualification products and services, is now integrated within RouteOne’s IDOne solution, a full-service identity verification tool that can help manage compliance tasks. The companies highlighted IDOne from RouteOne is designed to make it easy to help protect a dealership by validating a customer’s identity and pinpointing potential fraud every time a credit report is pulled within the RouteOne platform. IDOne uses multiple databases in the verification process to identify discrepancies and will automatically generate an authentication quiz in real-time if identity is not initially verified. RouteOne senior vice president of product Amanda George added, “RouteOne is proud to offer a robust set of tools to dealers that helps them manage their daily compliance activities. “Welcoming 700Credit to our identity verification solutions further enhances our product offering,” George went on to say. For more information on the integration, call (866) 273-3848.